Kushiel’s Dart by Jacqueline Carey- A beautifully written book with a very original storyline, I was absorbed in it immediately. Sadly, the 2 following trilogies did NOT live up to the first, but I bought them all anyway. The main character Phedra is a mirror reflection of my inner masochist and the quote, “Love as thou wilt” has become my mantra. Les Miserables by Victor Hugo-Read during the short time in which I was an over-achiever, this book made an excellent book report read in 8th grade. If you can ignore the excessive mention of French places that no longer exist, you will come to see this is truly an epic story of the human spirit. 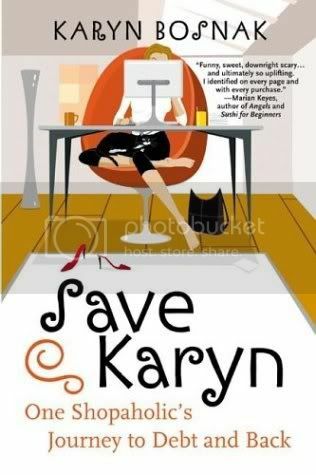 Save Karyn by Karyn Bosnak- A delightful bio that chronicles the travesties of credit card debt and the desire for designer shoes. One of the first women to become successful at what is now called internet pan-handling. I’ve been tempted to do this very thing. This page will be updated whenever I have time. Check out what was read in 2013. What! ?..Bookwhore does not mean regular whore who reads? Damn it – I was tricked! Love the list. 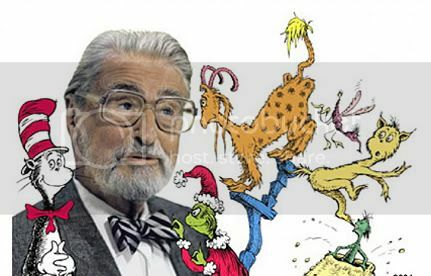 I have not actually read anything on it except Dr. Seuss, who was one fabulous and whacked out dude. Think I’ll try Kusiel’s Dart. I love your blog – it make me go haha. Haha, I suppose some may consider me a whore, but dammit, I don’t care because I’m much more well-read than them! And yes! Read Kushiel’s Dart and let me know what you think! I love this list, but I have to admit I couldn’t finish Kusiel’s Dart because of the skinning-alive scene near the end. I made it through all the other intense moments with knives and fire pokers, and I firmly believe we should all “Love as we wilt,” ’til the cows come home. But… over 10 years after reading it, that one scene still gives me the worst kind of heebie-jeebies. I think it best if you refrain from reading the third in the trilogy then..it gets much worse. But I’m so glad you actually read my book list! Most people skip this page! A) That is good to know. My partner’s listening to the series on CD and was trying to tempt me to re-visit them. I shant! B) Your blog name is sparklebumpsthebookwhore. How am I NOT going to read your book list?!?! OMG I love that name too! But it’s too hard for Americans to pronounce, I think. We pronounce my neice’s name KO-zette. I’m sending you an email of some other neat stuff about my daughter’s name in a minute. My sister and I didn’t talk for the longest time because she had a daughter before I did and stole the name Cosette, which I had stated was clearly mine to use. It turned out fine in the long run because my daughter looks like a clone of Audrey Hepburn and I named her Olivia. Very fitting. lol found your webpage when searching for different wallpapers, dont know how that happened! 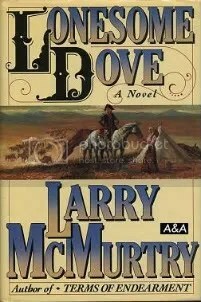 McMurtry is the real deal and “Lonesome Dove” is one of the great American novels of the 20th century. That pretty much sums it up.